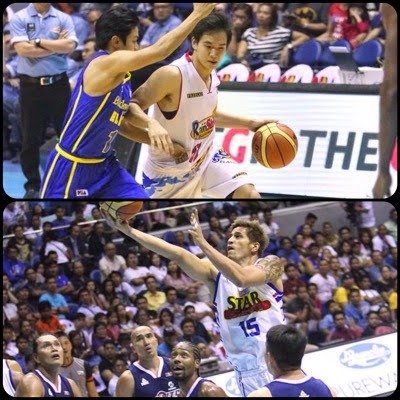 Purefoods Star and Rain or Shine notched separate victories tonight in the 2015 PBA Commissioner’s Cup. The Painters compounded the woes of the Blackwater Elite, while Purefoods dropped Meralco to remain at the top of the standings. The Rain or Shine Elasto Painters kept in pace with PBA Commissioner’s Cup leaders Purefoods Star and Talk ‘N Text after tripping expansion team Blackwater, 102-98, on Friday at the SMART-Araneta Coliseum. Wayne Chism, who struggled with early foul trouble, bucked a slow start to finish with 30 points and 13 rebounds in leading Rain or Shine. 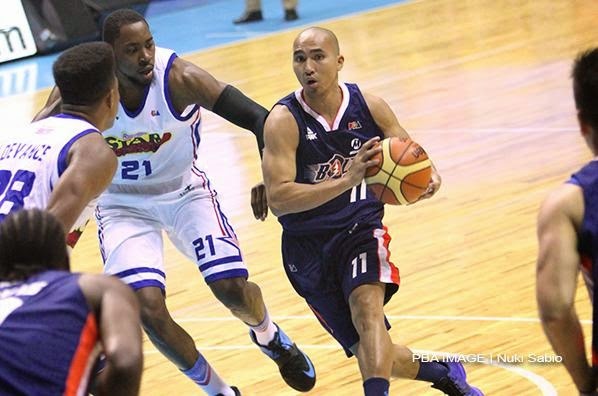 Paul Lee scored 14 points – eight of them in the fourth quarter – while Beau Belga and Chris Tiu both chipped in with double-figure production to help ROS’s cause. The Elasto Painters grabbed a share of the lead with a 7-3 record, tying the Hotshots and Tropang Texters atop the standings. Despite the best efforts of import Marcus Douthit, who finished with 34 points and 19 rebounds, Blackwater sank deeper into the bottom of the standings with a 2-8 mark. 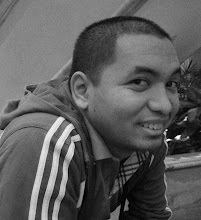 Val Acuna scored 20 points to back up Douthit, while Brian Heruela had 15 markers. Line of the Game: Marcus Douthit (BLA) - 34pts, 20rebs, 8asts, 2blks. 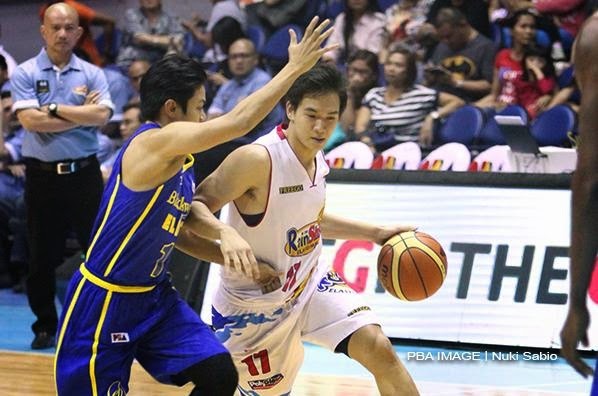 Chris Tiu had one of his better games of the season againt Blackwater. 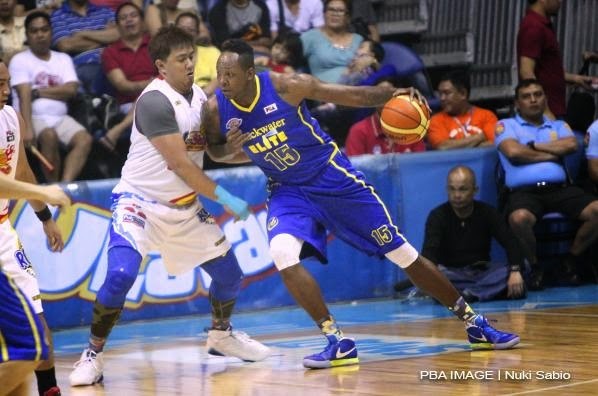 Marcus Douthit's amazing production went down the drain against ROS. Wayne Chism helped ROS stay in contention for one of the top two spots. The Purefoods Star Hotshots put themselves in prime position to claim one of the top two spots after closing their elimination round campaign with a 96-85 win over Meralco on Friday at the SMART-Araneta Coliseum. Denzel Bowles posted monster numbers yet again with 37 points, 21 rebounds, and 3 blocks, while James Yap and PJ Simon each added 15 to help the cause. Purefoods finished its schedule with a league-best 8-3 record, although both Talk ‘N Text and Rain or Shine (7-3) still have a chance to force a deadlock at the top. The top two teams after the elimination round will be rewarded with a twice-to-beat advantage in their respective quarterfinals series. It was a crucial match-up for both teams, with Meralco dropping to 6-4 with the defeat. The Hotshots led by as many as 18 points in the second half, although needed to weather a late run from the Bolts before eking out the victory. Meralco got within six points, 91-85, at with 1:34 remaining on the game clock but a clutch jumper from Bowles made it an eight-point game, 93-85, inside the final minute. Meralco’s Gary David finished with 27, while import Josh Davis led the way with 31 markers and 13 boards. Line of the Game: Denzel Bowles (PUR) - 37pts, 21rebs, 3asts, 3blks, 16/25 FGs. 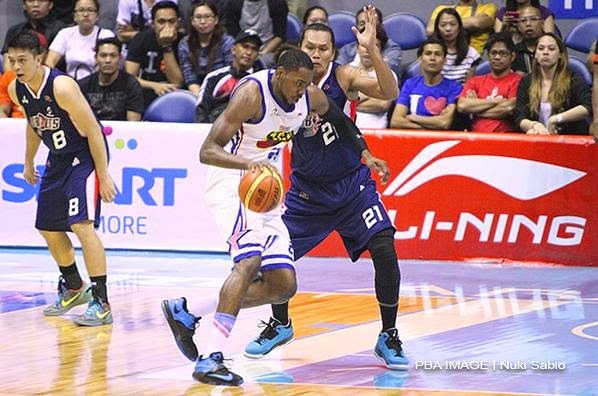 Denzel Bowles continues to play at a very high level for Purefoods Star. 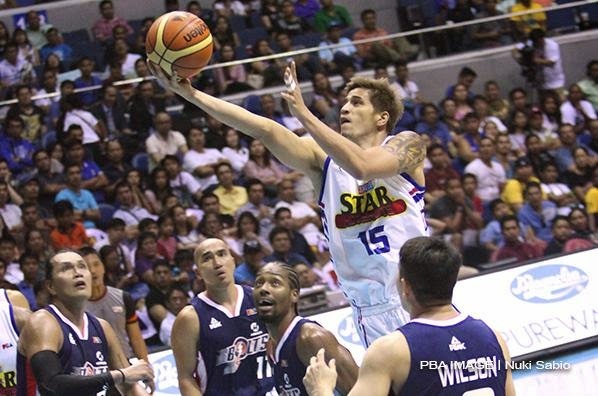 Marc Pingris goes up for a lay-up in traffic against Meralco. 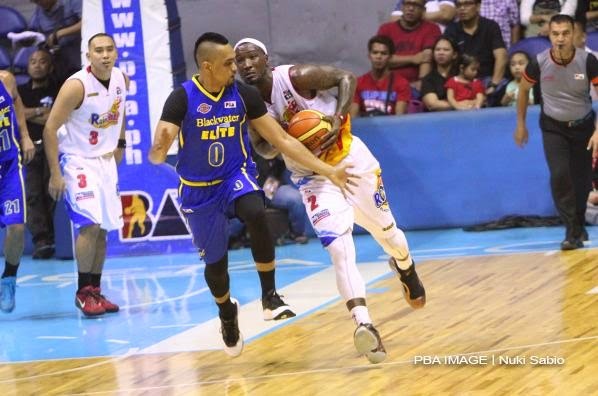 Mike Cortez and the rest of the Bolts sink farther from the top after losing to the Hotshots.